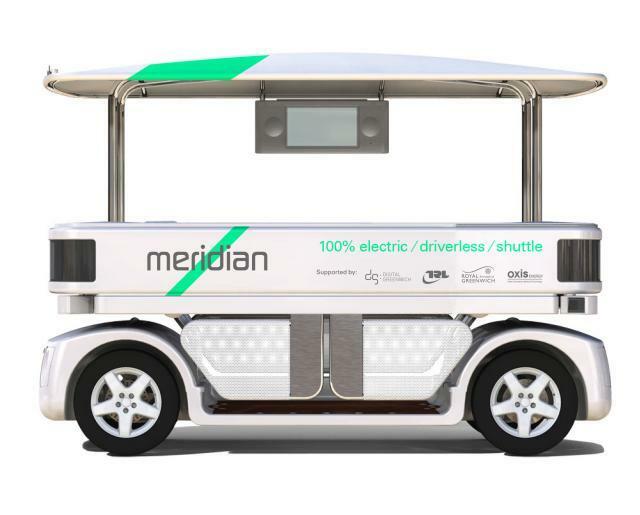 Driverless cars are coming to London! Greenwich will get automated shuttle vehicles, like the artist's impression above, from around May 2015. It's not very clear exactly where in Greenwich these shuttles will be, though reading between the lines of this press release from Transport Research Laboratory (TRL), we'd expect to see them running on the Greenwich peninsula — between North Greenwich station and the O2, perhaps? TRL weren't able to give us precise details as a lot of the i-dotting and t-crossing is still to be done; the announcement in the Chancellor's Autumn Statement seems to have come a bit early. TRL will also be testing "autonomous valet parking" and running a driving simulator using a 3D model of the peninsula (which is what's making us think the shuttles will also run in that area, though we stress: this is only a hunch). Driverless cars are said to be the answer to all our congestion prayers (they can travel much closer together than conventional cars, so take up less road space). And if in future we have fleets of shared driverless cars, we won't need to use quite so much land for car parks. The days of those "temples of the automobile age" may be numbered, though, as Citymetric points out, it'd help if driverless cars stopped hitting squirrels first. Of course, London already has driverless cars — albeit only at Heathrow. Created and run by UltraGlobal PRT, we paid a visit earlier in the year.